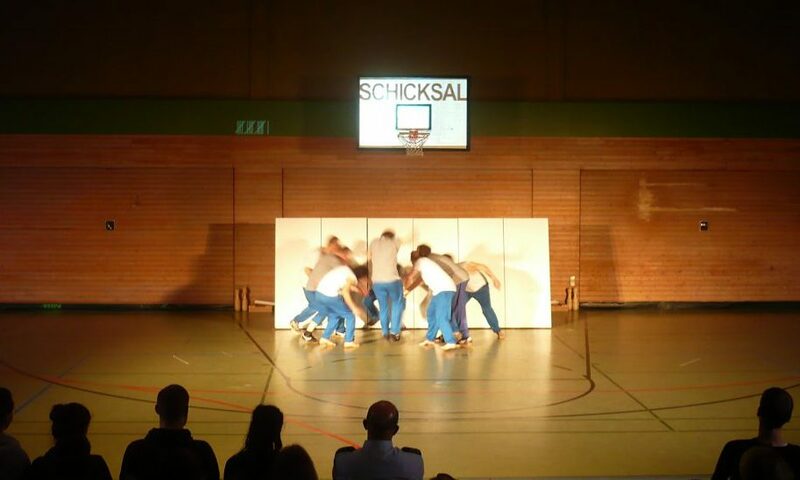 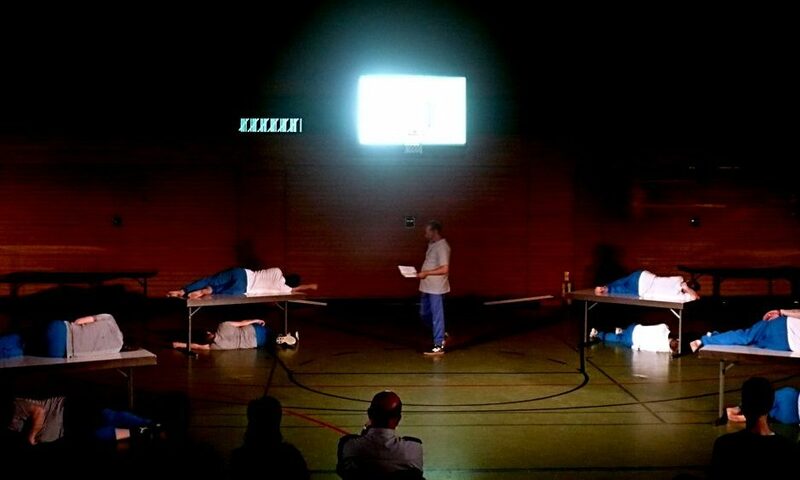 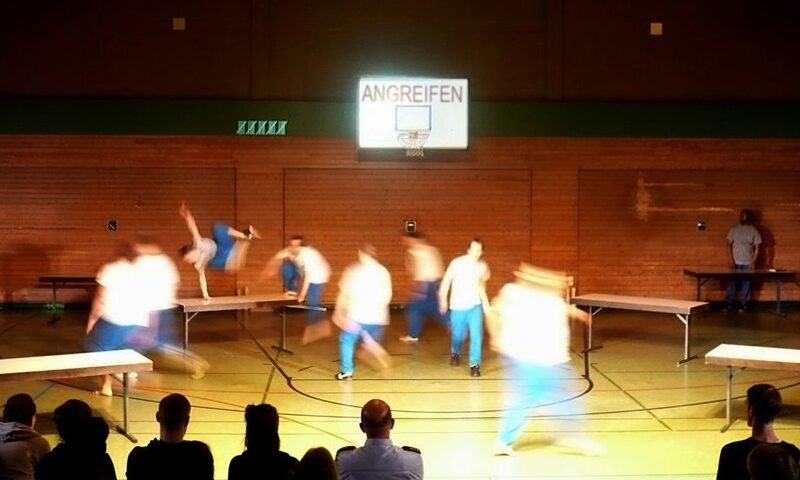 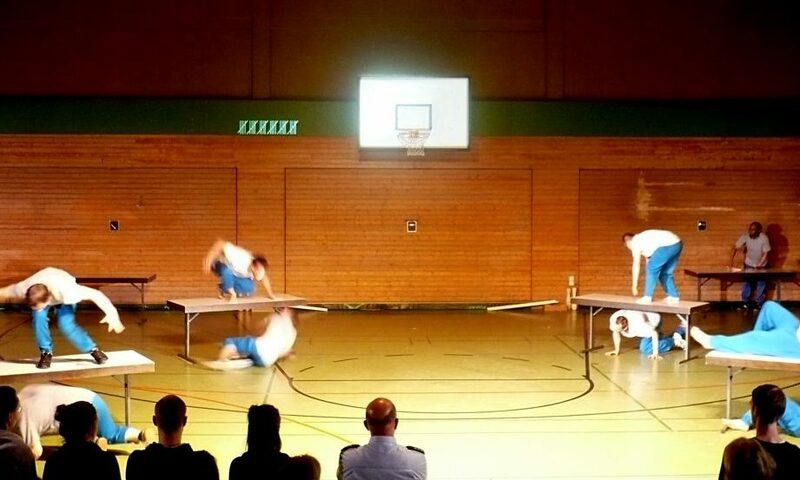 Gated Communities is a dance-theatre project by choreographer Nadja Raszewski, developed with eight inmates of the State prison Heilbronn in Germany . 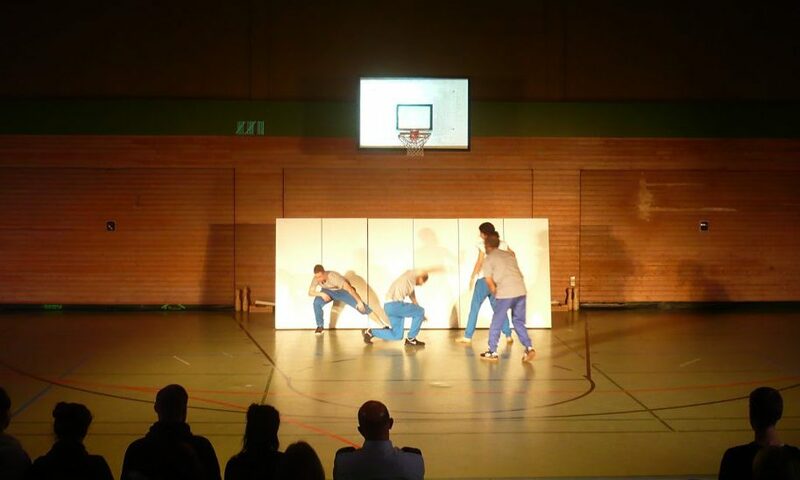 They trained and worked for four weeks with Nadja, developing movements and improvisation scores. 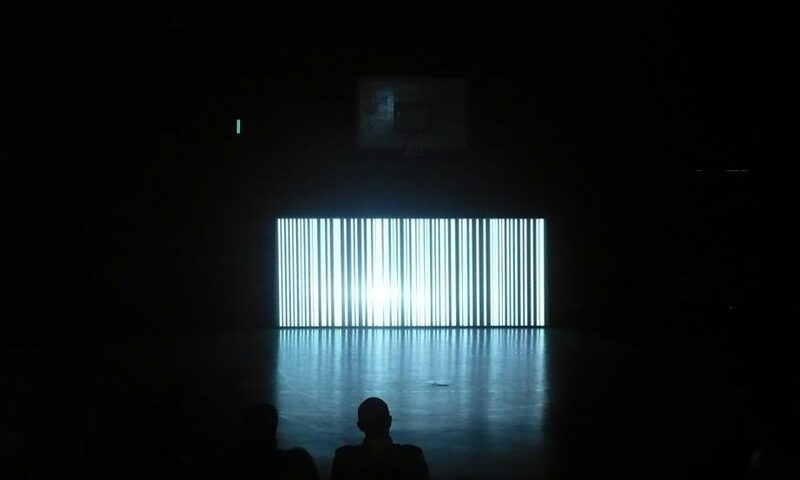 The theme of “under control” and the aspects of enclosure and expansion, self-control and and supervision, distrust and trust reappear in the piece, giving it a dimension far beyond the specific situation of the prisoners. 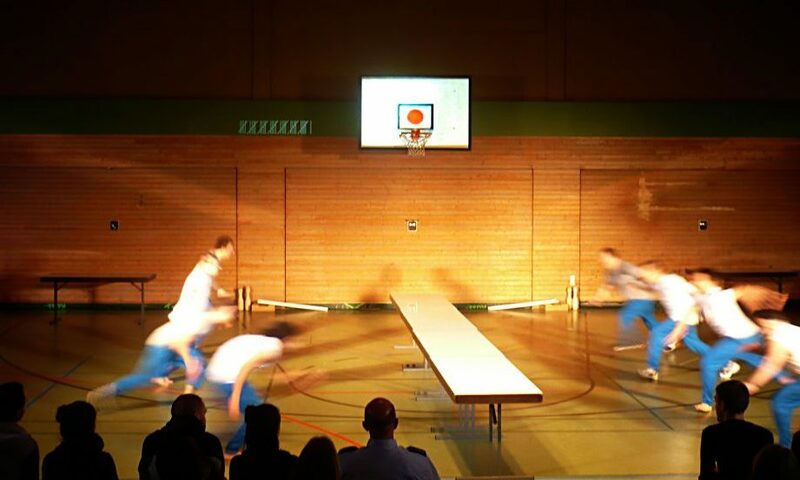 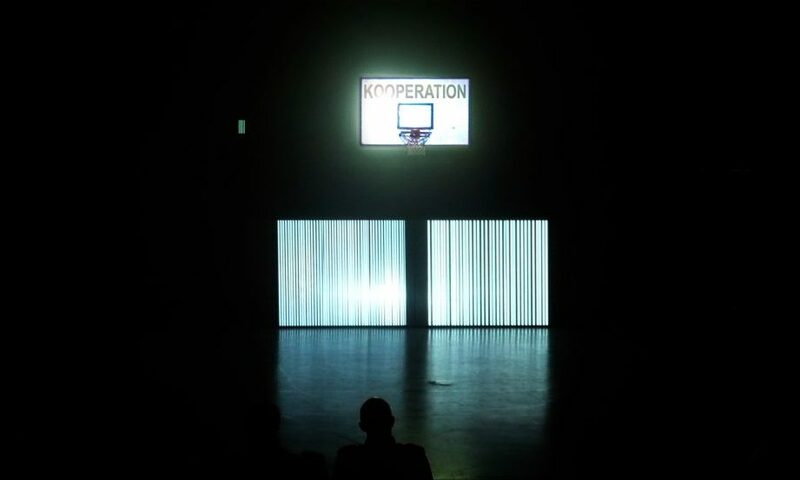 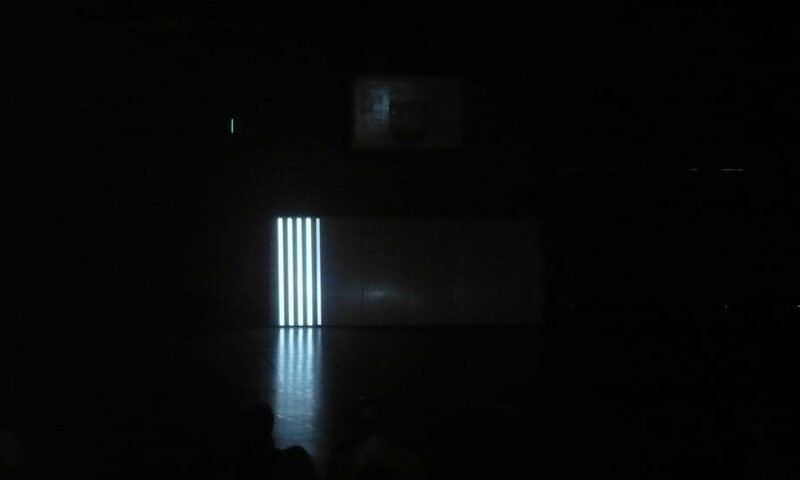 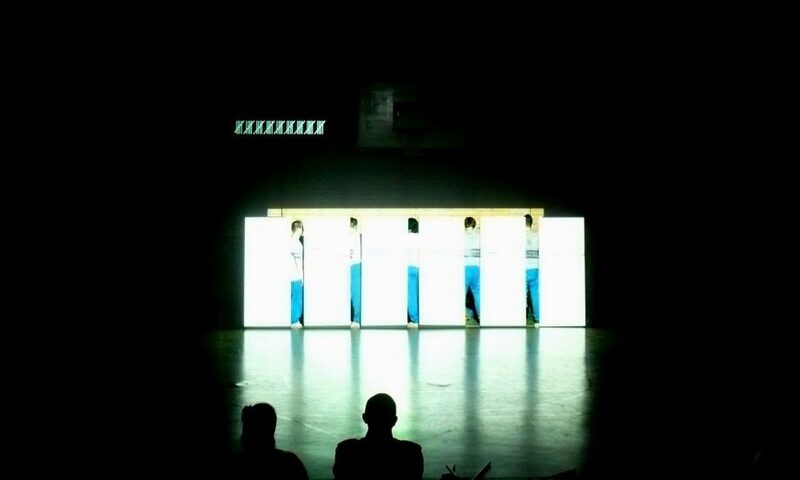 For this occasion, the prison’s gym was transformed into a stage, inviting the audience to enter gated territory. 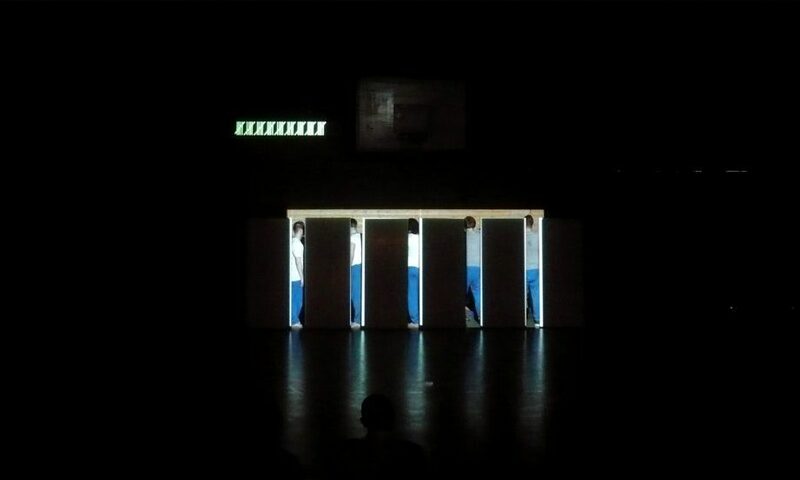 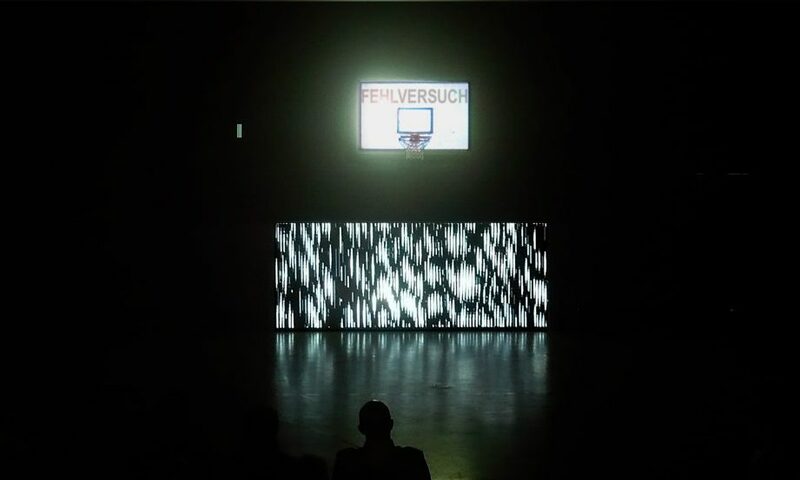 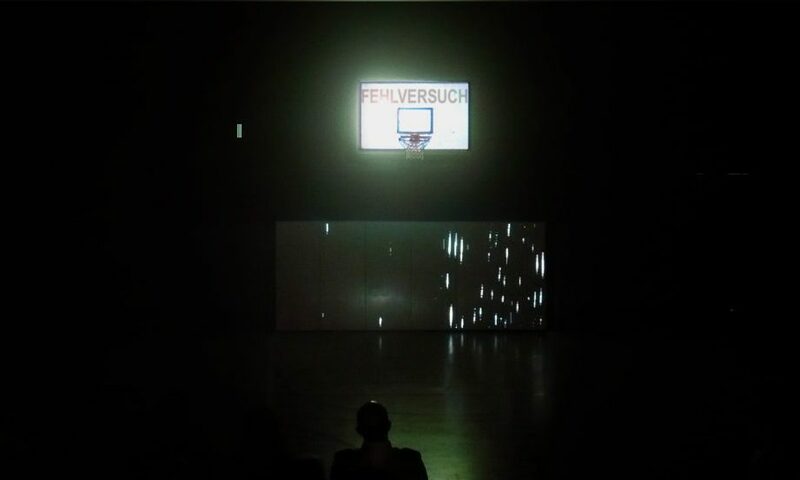 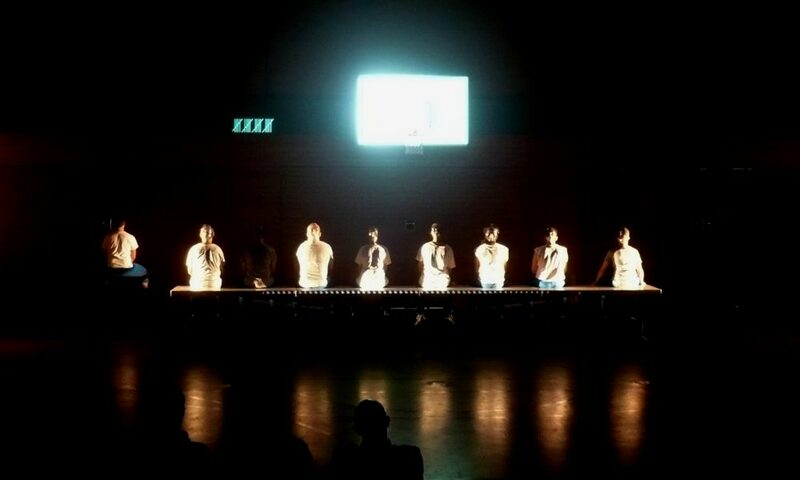 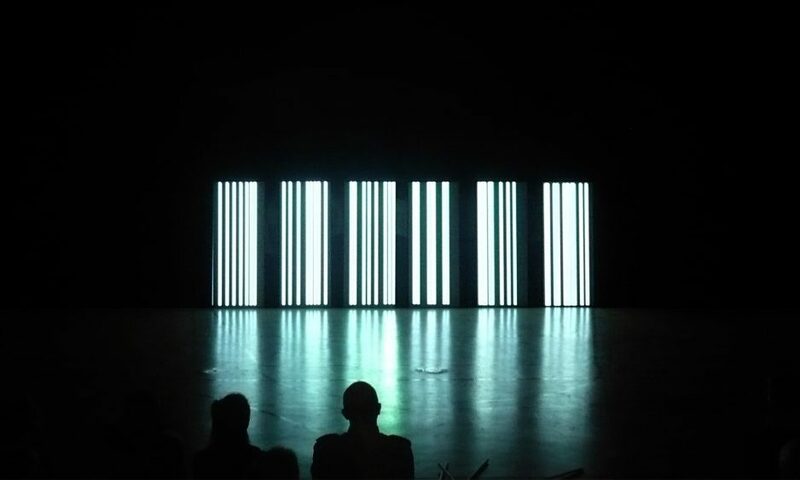 I developed the scenography and programmed and performed real-time image animations, which were projected on stage props and sports equipment.